How Many Calories in KFC Hot Wings? 1 How Many Calories in Domino's Buffalo Wings Plain? 4 Can You Bake Sliders? KFC sells three different types of hot wings that will add extra fire to your meal. Regular, honey barbecue and buffallo wings are breaded in KFC seasoning and deep fried. Wings are also available in a boneless variety. According to the KFC website, one regular KFC Hot Wing contains 70 calories. 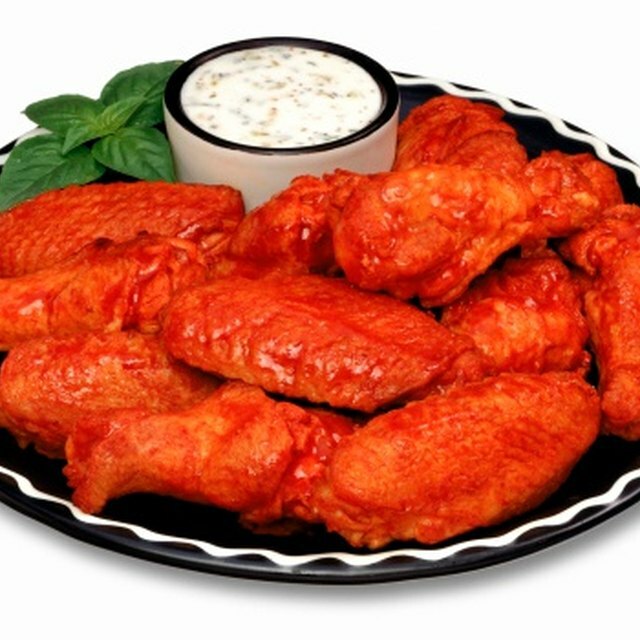 A KFC Fiery Buffalo Wing has 80 calories. And a KFC Honey Barbecue Hot Wing has the most at 90 calories per wing. 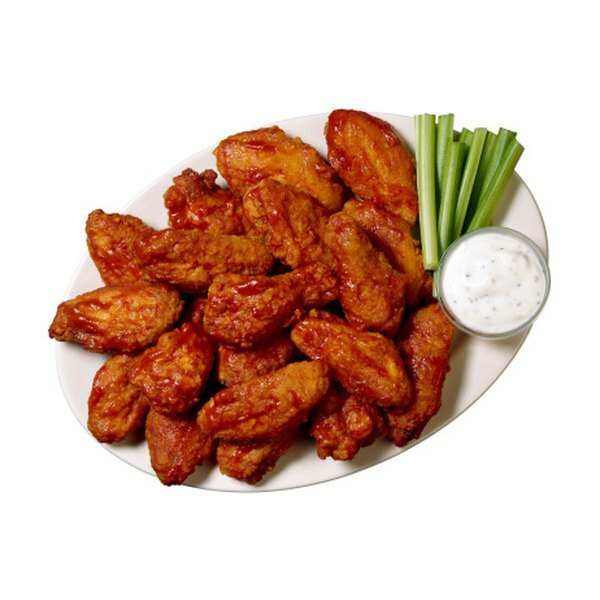 All three wing varieties include 20 g of carbohydrates, 4 g of protein and 5 g of total fat per wing. Your diet should include no more than 300 g of carbohydrates, 50 g of protein and 65 g of total fat per day, according to the Mayo Clinic. Most people don't eat just one wing at a time. Pair wings with healthy side dishes. KFC green beans contain 20 calories per serving, corn on the cob contains 140 calories per 5.5 inch corn cob and the three-bean-salad only has 70 calories. Opt for sweet corn for a sodium-free side dish.